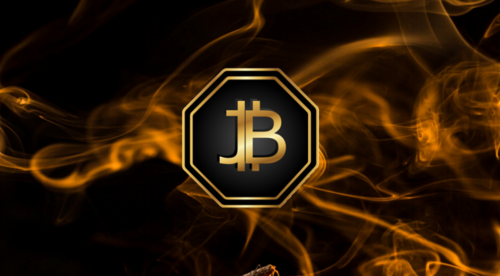 London, September 28 2018 Jinbi Token, a UK and Belarus-based gold-backed blockchain business, will be extending its public ICO until Monday December 31 2018. The project has attracted a large amount of interest from institutional investors since the ICO began on Thursday June 28 2018. Jinbi has currently raised $17.5Million since going live. Jinbi completed a week-long pre-sale beginning Monday June 18 2018, which successfully reached a soft cap of $8Million. Once the ICO fundraising is complete, Jinbi tokens will be available for purchase on several cryptocurrency exchanges. These will be made available to the public following a collective decision from the Jinbi management team. The Jinbi Token merges traditional gold investment with blockchain technology, which allows the token holder to experience the best of both worlds. Jinbi has developed this concept further by being one of the first tokens in the industry to be partnered with a gold mining company. Using blockchain technology allows Jinbi to hold its primary assets and secure transactions anonymously, safely, traceably and transparently. The Jinbi token provides both the precious metals investor market and crypto currency enthusiast with an advanced value preservation solution, as well as an innovative and accountable structure using a smart contract on the Ethereum blockchain. Additionally, Jinbi Token holders are eligible to receive quarterly precious metals and crypto currency investment reports. To receive the investment reports, one must have invested a minimum of 0.1 ether during the main ICO. Jinbi Tokens, which are delivered via a smart contract, are the documentation invested physical gold holdings. To participate in the ICO, participants are required to provide their full name and address and may be asked to submit scanned copies of proof of identity. This is managed as part of Jinbi Token’s Know Your Customer (KYC) process. An encrypted format (using 128-bit AES encryption algorithm) is always used at all stages of the data management lifecycle. Elliptic curve asymmetric cryptography is used for authentication. To participate in the main ICO, please visit the website, or to find out more on Jinbi Token, please watch the explainer video. Andre Rafnsson is available for an interview upon request. Media information provided by Famous Publicity. For more information, please contact Josh Balmer at josh@famouspublicity.com or Tina Fotherby at tina@famouspublicity.com or call +44 (0)333 344 2341. Based in the UK and Belarus, Jinbi is a gold investment platform built on the Ethereum blockchain. By using blockchain technology, Jinbi Token allows individuals to trade gold in a secure peer-to-peer system to share the profitability of gold production. The business is managed through a team of eight experts with an array of experience in technology and the gold industry. The minimum investment is 0.1 ETH. The company launched its public pre-sale on Monday June 18 2018 which ran for one week, reaching the soft cap of $8Million. The main ICO launched on Thursday June 28 2018 and will run until Monday December 31 2018. The company is aiming to raise $60,000,000.00 across their main ICO to the public and will mint a maximum of 8.75 million tokens. Of these, 10 million tokens (equivalent to 80% of the total) will be available to the public, and 2.5 million tokens (equivalent to 20% of the total) will be available to management. All unsold tokens from the main ICO will be iced for two years using a smart contract. After this period, the tokens may be sold, re-iced or burned dependent on a collective decision made by the Jinbi management team. Full instructions on how to participate in the main ICO can be accessed through the main website. As Co-Founder of Jinbi, Andre Rafnsson has over 20 years' management experience within the pharmaceutical and medical industry and most recently the biotech sector. He is primarily responsible for Investor Relations and Business Development at Jinbi. Andre has a strong interest in physical gold and silver and has been actively investing in the resource industry for the last 10 years. Andre is fluent in five languages (English, Icelandic, Russian, Danish and Swedish) and has international experience in the EMEA region. As Co-Founder of Jinbi, Joseph Crawley is an experienced manager in base and precious metals, trading and mining. He has also been involved within the commodities, mining and finance sectors for over 10 years. Joseph has previously managed mining projects and joint ventures in Turkey and Ghana. Joseph is responsible for the Gold Mining Operations and Corporate Strategy for Jinbi. This press release was distributed by ResponseSource Press Release Wire on behalf of Jinbi Token in the following categories: Men's Interest, Women's Interest & Beauty, Business & Finance, for more information visit https://pressreleasewire.responsesource.com/about.